This session intends to honor the professors, the ones that through their altruism and excellence inspired their students to learn and create. For this year we decided to praise Professor Sobrinho Simões, one we consider a great tutor and an example to follow. To fullfill this important task we couldn’t think of a better speaker than Professor Fátima Carneiro, as she is following his steps both as a professor and as a science investigator . To be a professor… is to be remembered by the future! Researcher at I3S, Professor at the Faculty of Medicine of the University of Porto and Head of Department of Anatomic Pathology at CHSJ. 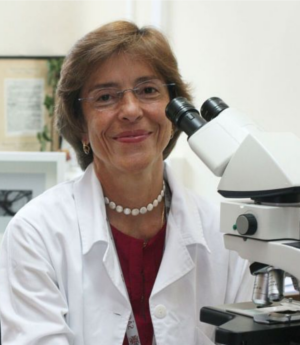 Professor Fátima Carneiro is also ex-president of the European Society of Pathology and recognized as one of the greatest references in Gastric Cancer. To top of this remarkable curricullum, Professor Fátima has recently been named as the World’s most influential pathologist. We couldn’t think of a better speaker to start a day of learning and discoveries! Be ready to listen to an inspiring named lecture regarding the art of teaching and inspiring young minds, in a session were we will also remember Professor Sobrinho Simões.